"Join The Ponies For The Most Exciting Adventures Yet!" 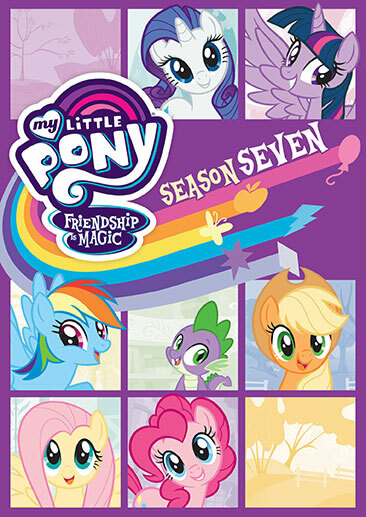 All 26 astonishing episodes of My Little Pony: Friendship Is Magic Season Seven are now collected in one 4-DVD box set. 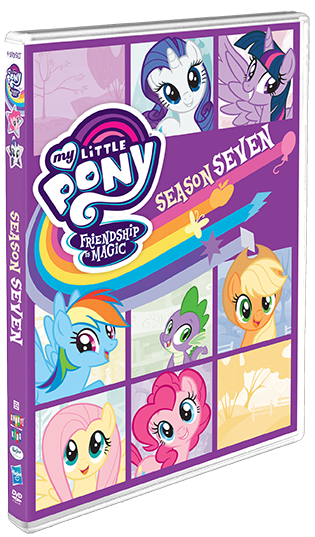 Join Twilight Sparkle and her very best friends – Rainbow Dash, Fluttershy, Applejack, Pinkie Pie, Rarity and Spike as they spread the magic of friendship throughout the kingdom of Equestria, picking up their own valuable lessons along the way! 18 My Little Pony Friendship Is Magic: Daring Done?